Harry N. Abrams, 9781419731716, 32pp. Savannah Guthrie is the cohost of TODAY on NBC as well as an attorney and legal analyst. She lives in New York City with her husband and two children. Allison Oppenheim is trained in clinical psychology and is the mother of three. She lives in New York City. Eva Byrne is an artist who specializes in fashion illustration and children’s books. 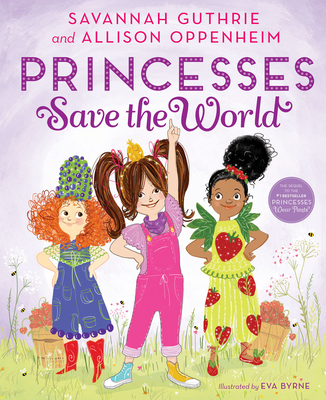 She is the illustrator of the #1 New York Times bestseller Princesses Wear Pants. She lives in the Irish countryside.